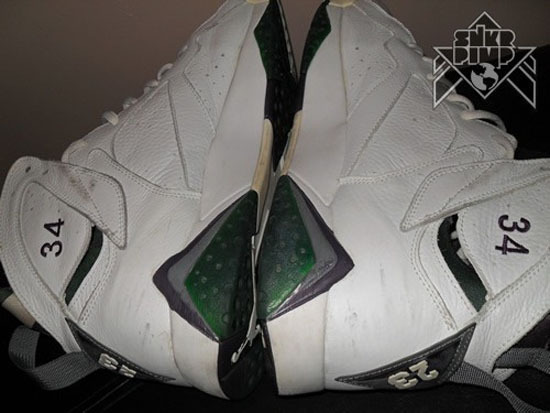 A rare pair of Air Jordan 7 Retro PE's from Ray Allen's early days in Milwaukee are up for grabs. Check out the auction here. Made for Ray Allen to wear during the 2002-03 NBA season. 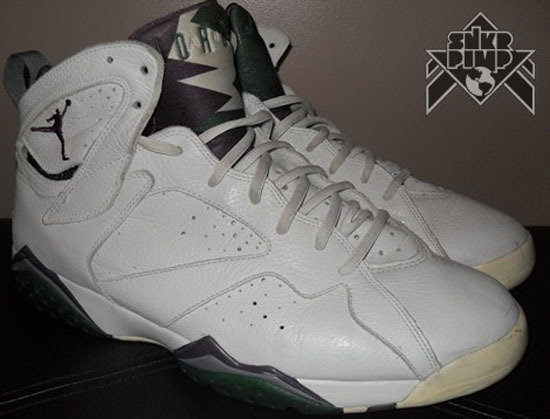 This Air Jordan 7 Retro comes in a "Milwaukee Bucks" inspired white, purple, flint grey and green colorway. 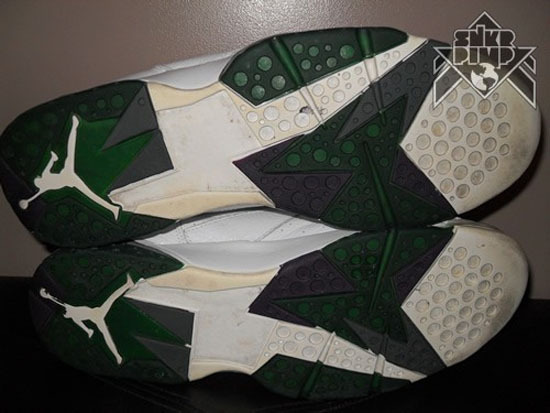 A "Home" edition, Sugar Ray wore these while playing at home for the Bucks that season. 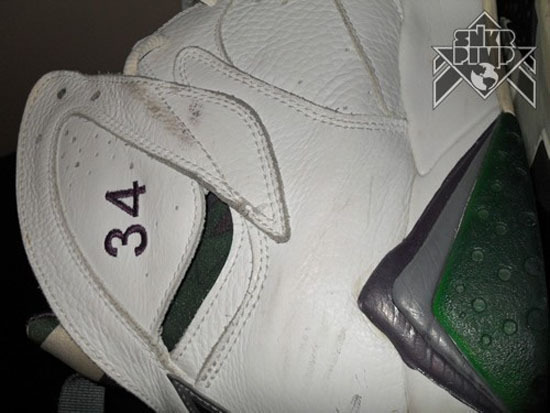 His jersey number "34" is stitched in purple on the inside upper of each shoe. 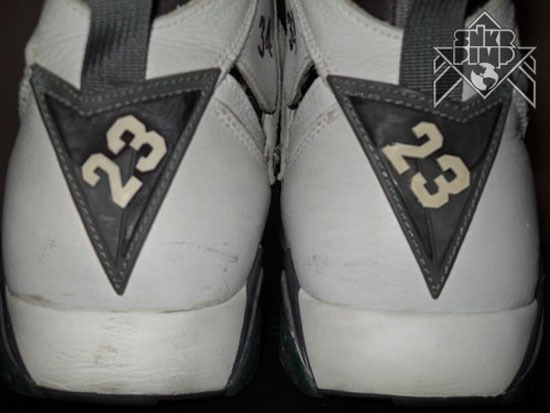 This colorway was made exclusively for Ray Allen and was never sold in stores or available to the public. 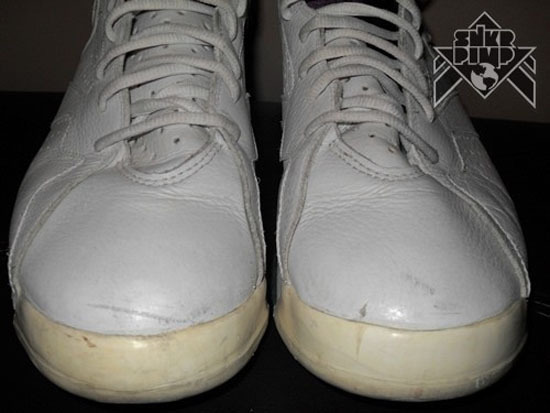 A very rare pair and not one you come across very often, deadstock or game worn like this one. 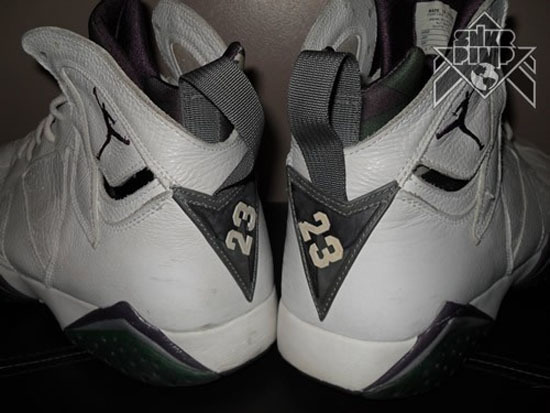 Enjoy the images below of this rare pair of Ray Allen Milwaukee Bucks "Home" Air Jordan 7 Retro player exclusive's in white, purple, flint grey and green. If you're interested in adding these to your collection, you can click here to buy them on eBay.